Ashlee Daniel is a graduate of Western Kentucky University with a major in biology and agriculture. 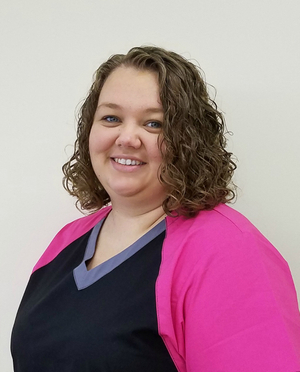 Ashlee is our go to person if you have any compounding questions. She is also the technician in charge of our Home Connections program. Ashlee and her husband, Scott, enjoy fishing and traveling. Since the birth of their son, they have been enjoying watching all of his “firsts” and simply treasuring every moment with him.